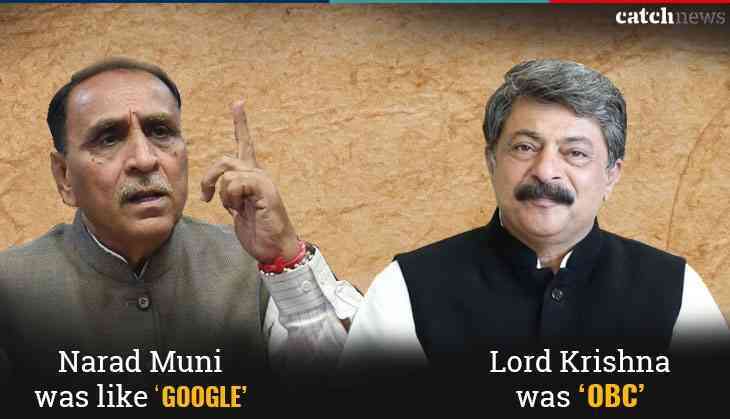 After Gujarat CM Vijay Rupani's remark over mythological character 'Narad Muni was like Google,' state assembly Speaker Rajendra Trivedi stated that Lord Krishna was an OBC and claimed that both Prime Minister Narendra Modi and Dr BR Ambedkar belonged to the Brahmin community. According to ANI, Trivedi, while addressing a 'Mega Brahmin Business Summit' in Gandhinagar, said: "I've no hesitation in saying that Ambedkar was a Brahmin. His surname, Ambedkar, a Brahmin surname, was given by his teacher, a Brahmin. It is not wrong to call a learned person a Brahmin. In that context, I'll say Modiji is also a Brahmin." Going a step further, Trivedi said that Lord Krishna was an OBC who was made god by Rishi Sandipani and Lord Ram was a Kshatriya, but it was only rishis who made him a god. According to a report in The Indian Express, Triveni said that the "learned" Brahmin community has never been "power hungry" and was instrumental in the success of kings such as Chandragupta Maurya, and of gods such as Lord Ram and Lord Krishna. "Brahmins made the gods, and I have always said that Lord Ram was a Kshatriya, but it was the rishi-munis (sages) who made him a god. The shepherd of Gokul… who made this OBC a god? It was Sandipani Rishi, a Brahmin," the Gujarat Assembly Speaker was quoted as saying by the report. “I have no hesitation in saying that Ambedkar is also a Brahmin because his surname, a Brahmin surname, was given by his teacher, a Brahmin. There is nothing wrong with calling a learned person a Brahmin. I will say proudly that Modiji is also a Brahmin,” Trivedi said. BJP leaders are recently making rows due to their controversial statements. Earlier after his remark on the Internet during Mahabharat, Mr Deb on Sunday advised youth to not run behind politicians instead set up Paan shop or milk cows for livelihood. According to reports, Prime Minister Narendra Modi and BJP chief Amit Shah have summoned Deb over his controversial statements. The Chief Minister has been summoned to meet Modi and Shah on May 2 in the national capital.